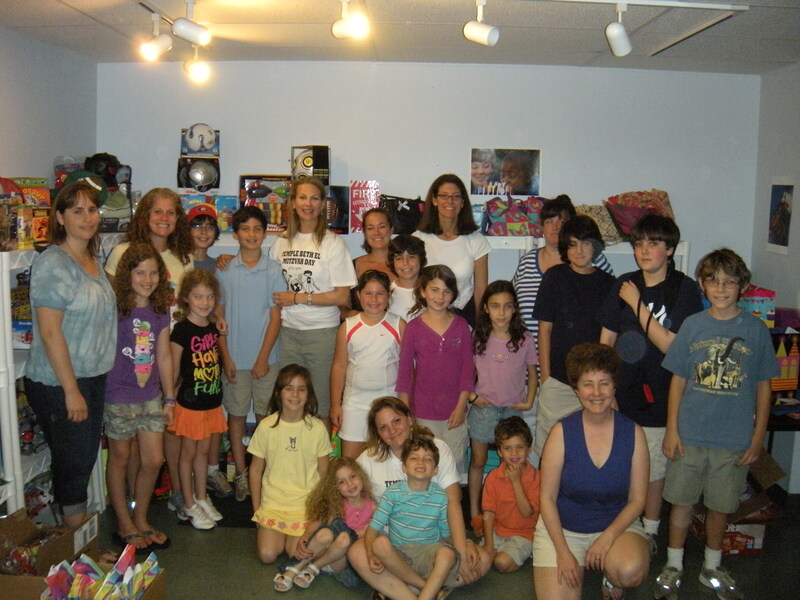 … a group of 25 children and adults from Temple Beth El, who organized their Mitzvah Day project to benefit Birthday Blessings. Mitzvah Day is an opportunity for congregations to participate in the holy task of tikkun olam, or repairing the world through community service projects. This group assembled goodie bags, middle school party-in-a-bag kits, wrapped presents and helped with various projects around our office. … the Unitarian Universalist Church of Charlotte. This caring group of Birthday Blessings supporters held a congregational-wide donation drive during the month of April to support our Student Birthdays Program, and a group of adults and middle-schoolers will be hosting a shelter party at Charlotte Emergency Housing in June. Check out this video of a group of high-schoolers who helped organize the donations, and hear why they felt moved to help our mission. We offer many thanks to these groups for their support! Entry filed under: Donations, Service Projects, Shelter Parties. Tags: Mitzvah Day, Temple Beth El, Unitarian Universalist Church of Charlotte.